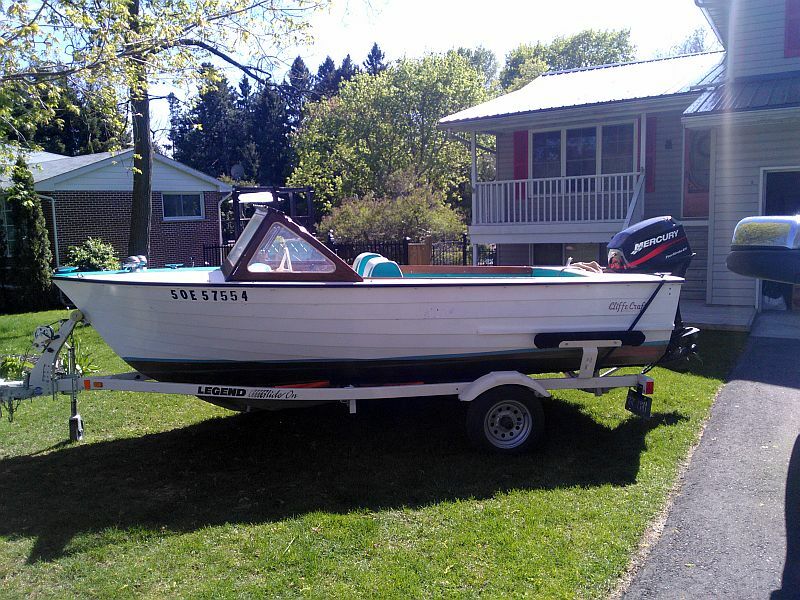 You are browsing the archive for www.portcarlingboats.com. 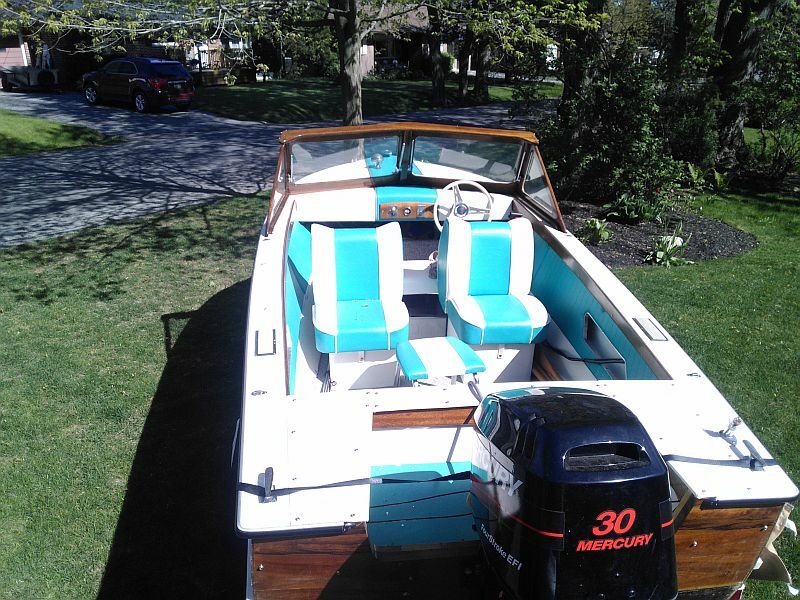 One of our newest listings: a Cliffcraft runabout. 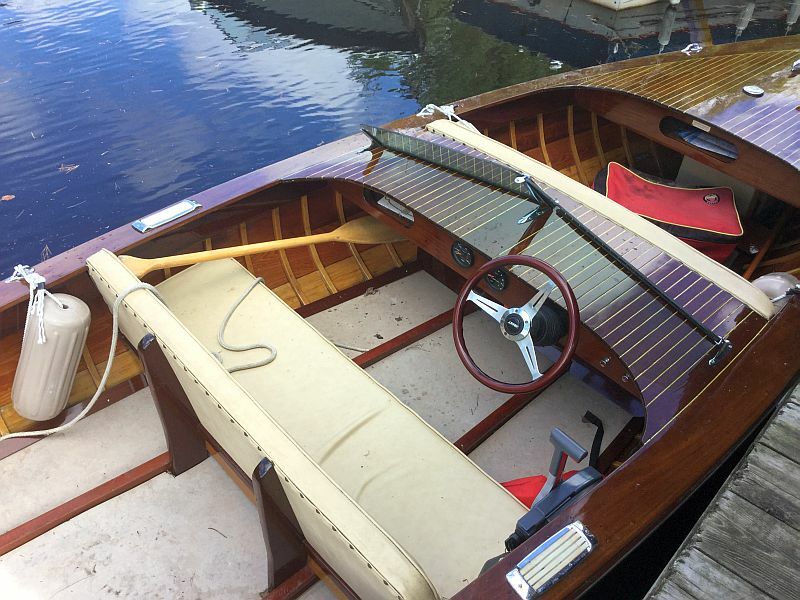 This Cliffcraft lapstrake runabout, in excellent condition, has had a major “make-over”, having been recently refinished and re-upholstered. 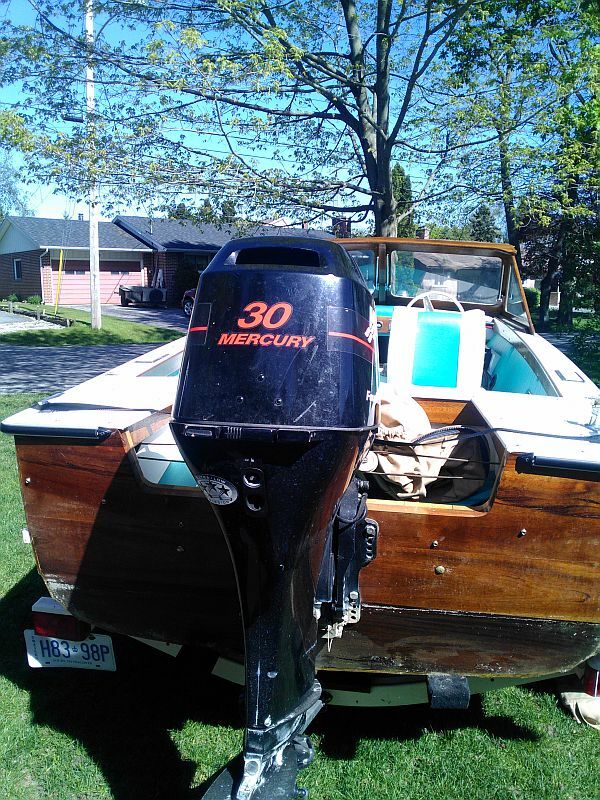 The boat is powered by a 4 cylinder, four stroke Mercury 30 hp. engine in ‘like new” condition. 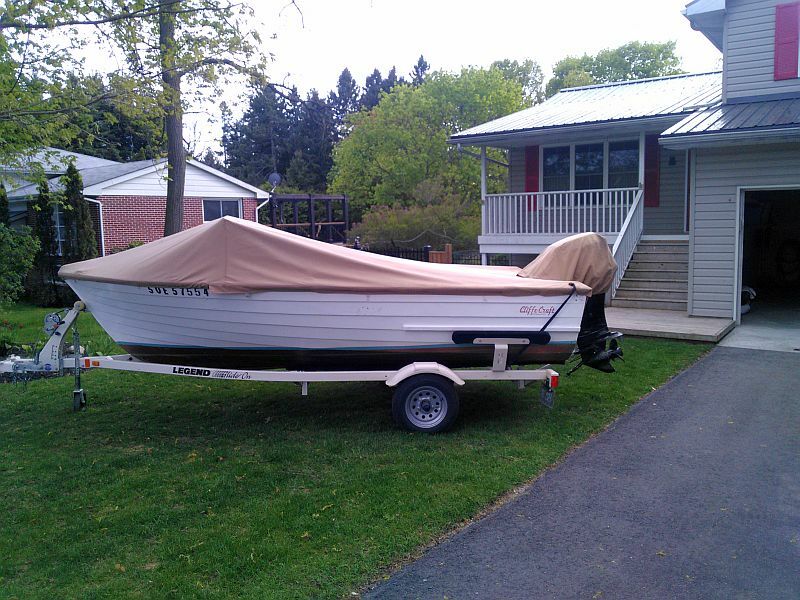 Included Equipment: boat, motor, trailer and custom storage cover. 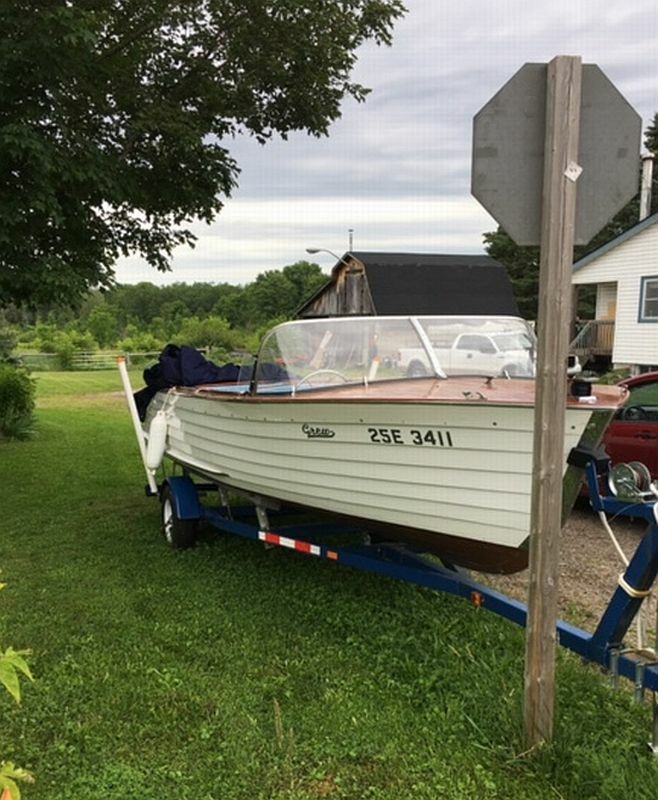 The trailer and motor are approximately 5 years old. 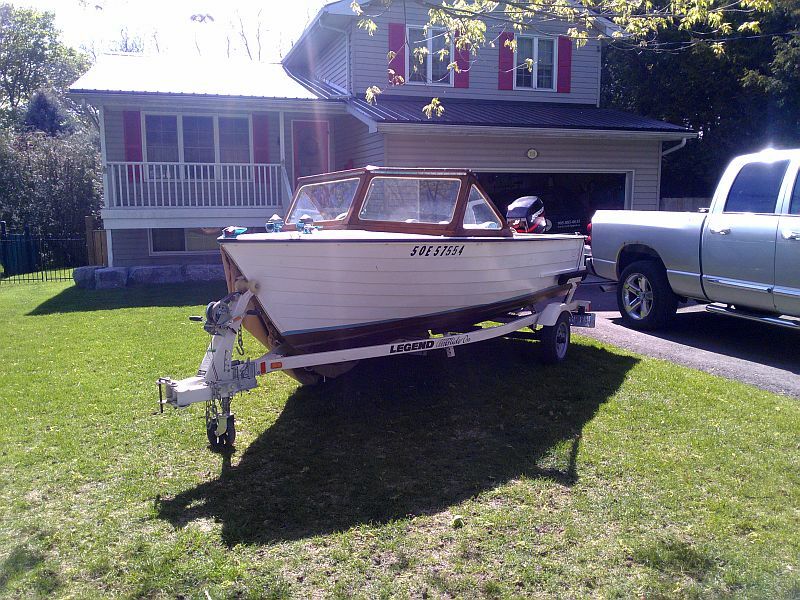 Tags: ACBS, classic boat for sale, Cliffcraft boat, Cliffcraft boat for sale, Port Carlign Boats, vintage boat for sale, wooden boat for sale, wooden boats, woody boater, www.portcarlingboats.com Comments Off on One of our newest listings: a Cliffcraft runabout. 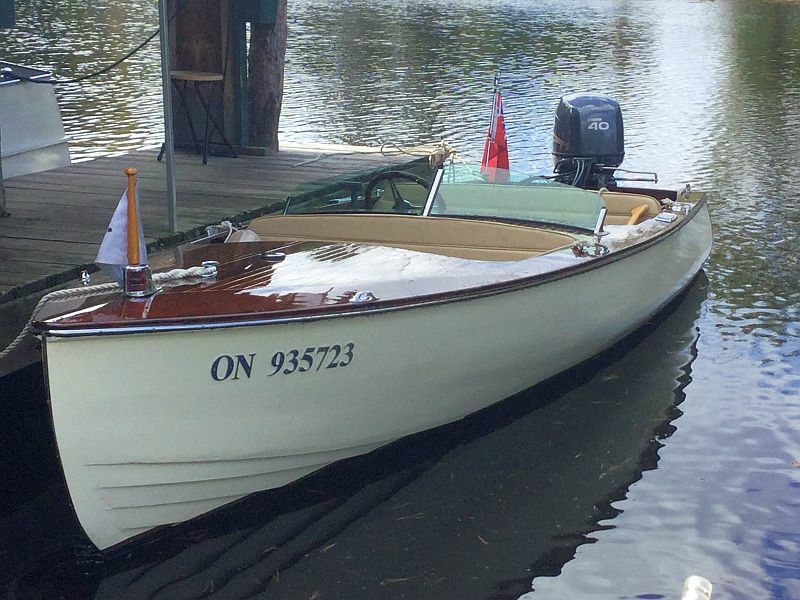 The ACBS Home Shop Tour offers some stunning vintage boats. Many thanks to our secret sleuth, N.H. for documenting the ACBS Home Shop Tour, held this past weekend (Oct.21 2017). 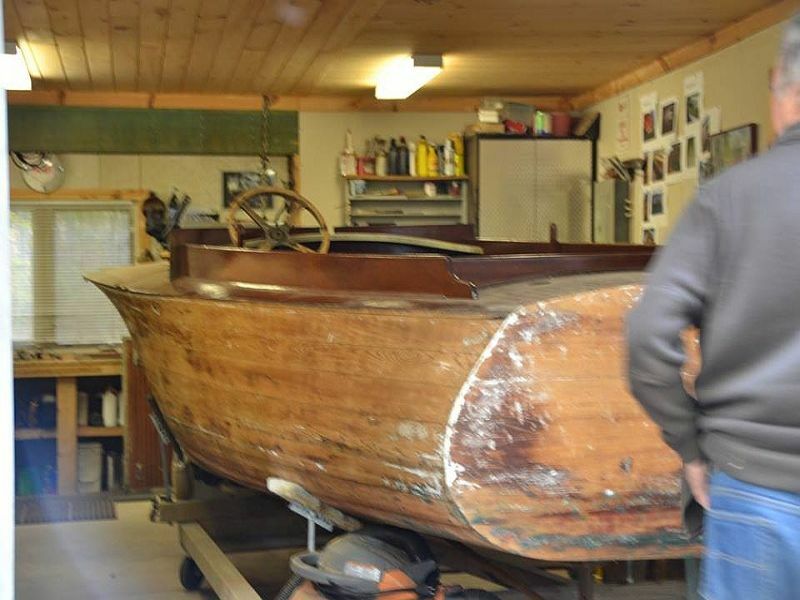 Gracious private wooden boat restorers kindly opened their shops and garages to members of the Antique and Classic Boat Society. Shops in Port Carling, Barrie and Port Perry were visited by our sleuth. 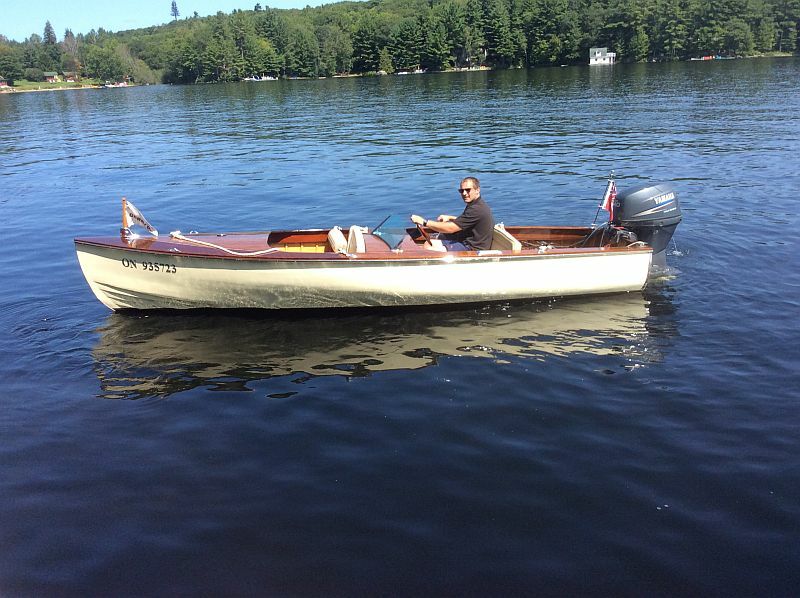 In Part I, below,he describes the Port Carling visit in his own words. “The 2017 Toronto ACBS Home Shop Tour began on a bright, sunny and warm day. It was magical to drive up Hwy 400 to Port Carling free of traffic. I rolled into David and Rosalie’s lovely cottage on Peninsula around 8:30 am. Several people ahead of me were enjoying some freshly brewed java and cookies. 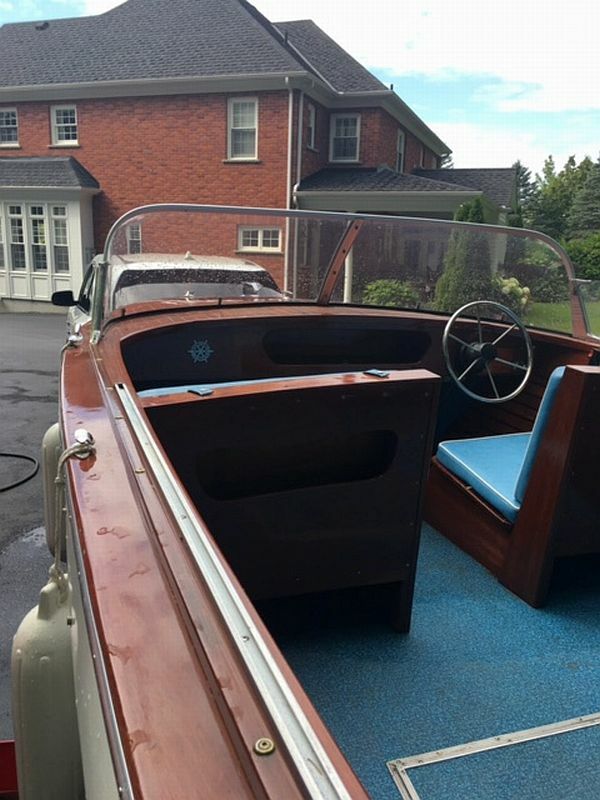 As I strolled up the driveway approaching the double bay garage, I was immediately drawn to the shape of the long deck of the Clarion 23ft Gentleman’s racer that just had its inner mahogany plywood skin installed. Sleek lines and a subtle raised cowling ensconced the driver. 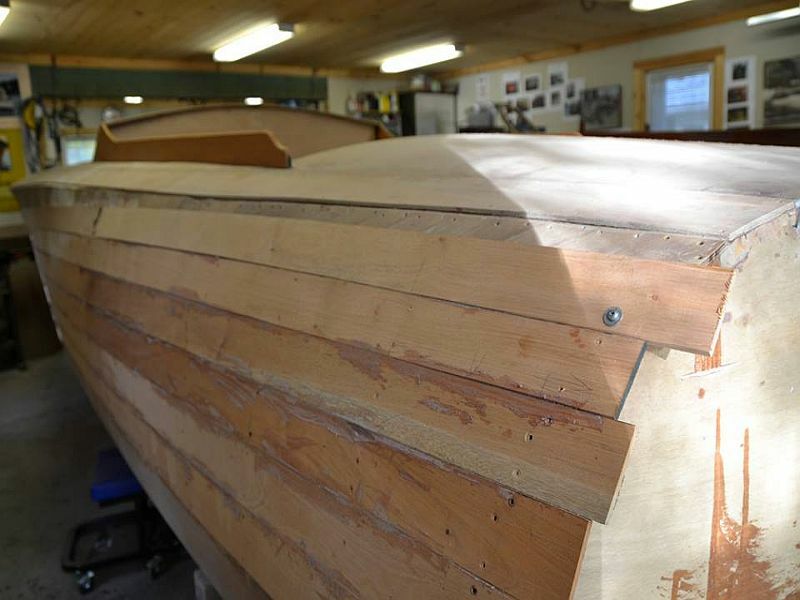 I imagined bombing around the lakes in what will be a lovely boat when it is completed. My eye was then drawn to the narrow beam of an old hull with a lovely bow flare that clearly signalled a Ditchburn boat. 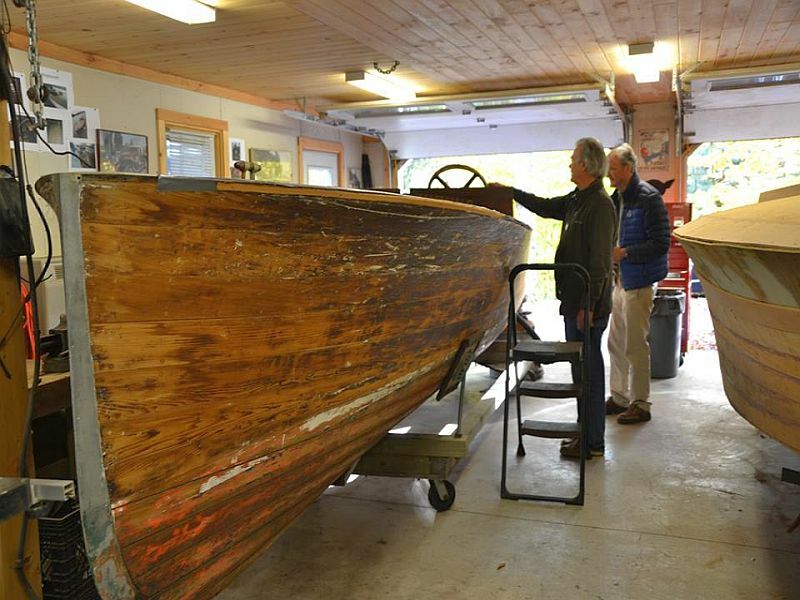 As I was walking around taking in the angles and noticing details of the boat, I overheard David’s son, Chris telling the story of this boat to an old gentleman who is recording all the history of the Muskoka boats for Grace and Speed- Muskoka Hertiage Centre. I knew this was a magical boat but it was a stunning story at that; so we begin. It was a sunny Friday afternoon that was taking Chris and his fiance at the time, Amy, to the village of Windermere Ontario. They were in the process of planning their wedding and were in the Village to meet with the local minister. Being punctual they arrived early and proceeded to take a walk to kill some time. While walking they came upon an open garage. 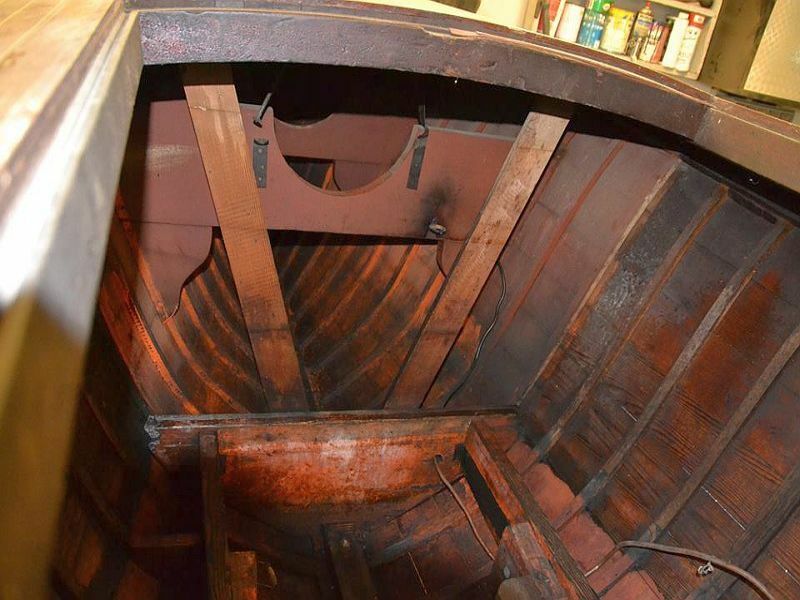 Inside, an older gentleman stood beside an old boat. Chris introduced himself and his fiance and asked him about the boat. 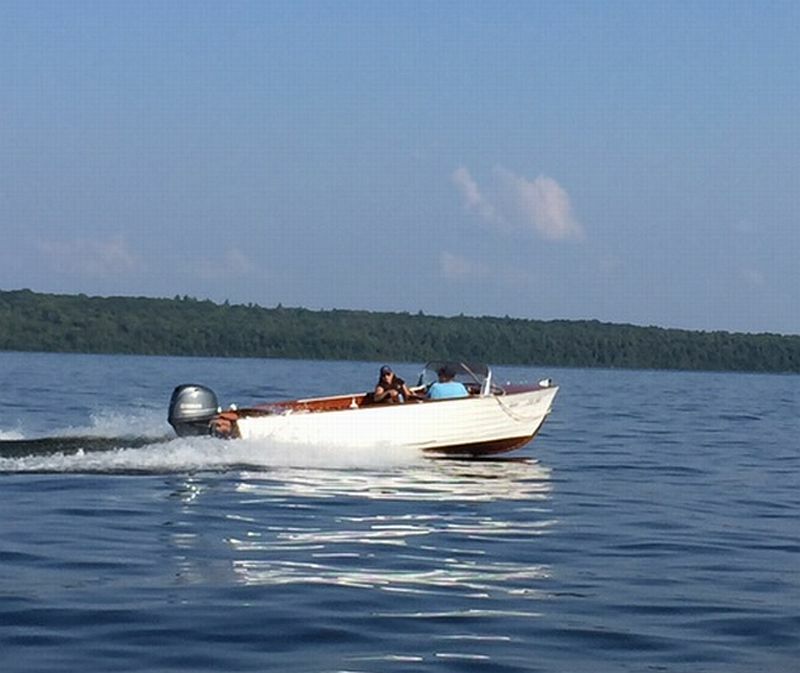 It was a 1927 Ditchburn, 23ft long and sister ship to Whip Poor Will and Pimento. 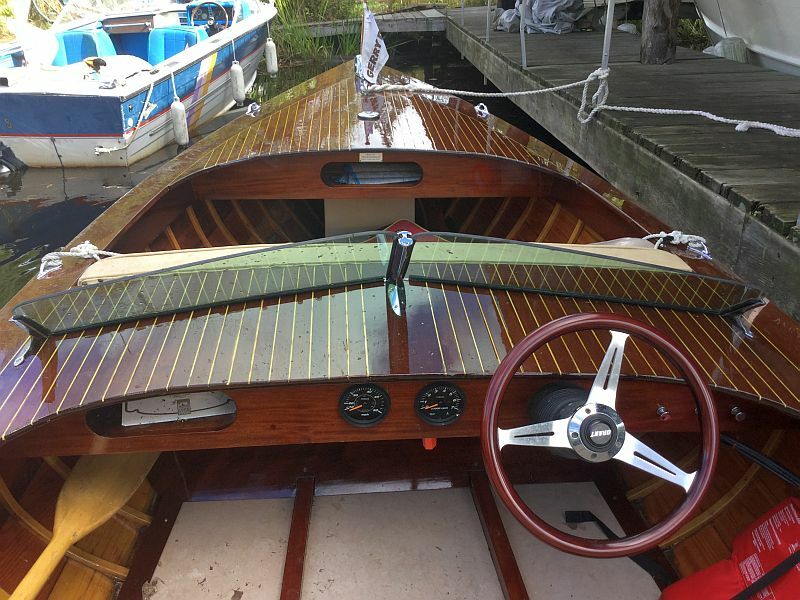 The Gentleman said he had had it for approximately 30 years but he had not had the time to get around to restoring the boat. 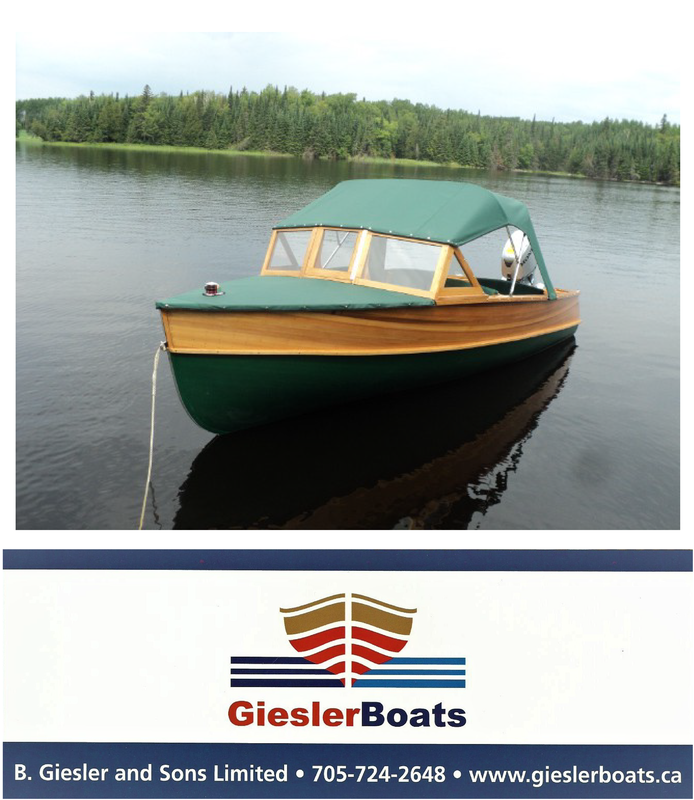 The cedar hull had its paint removed and you could see it was in great shape; it had all its hardware removed and he had the original engine as well as a rebuilt duplicate engine. 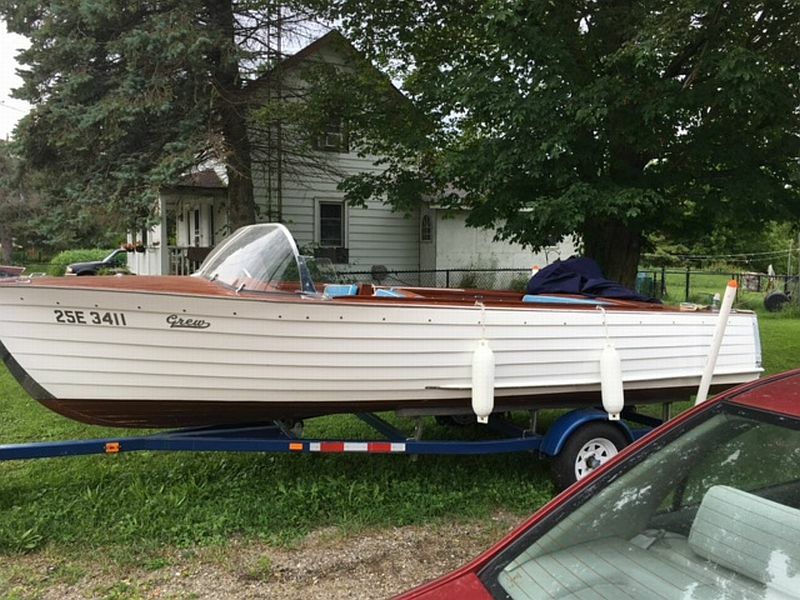 Chris asked the Gentleman, “How much would you like for the boat?”, and then proceeded to write the him a cheque. 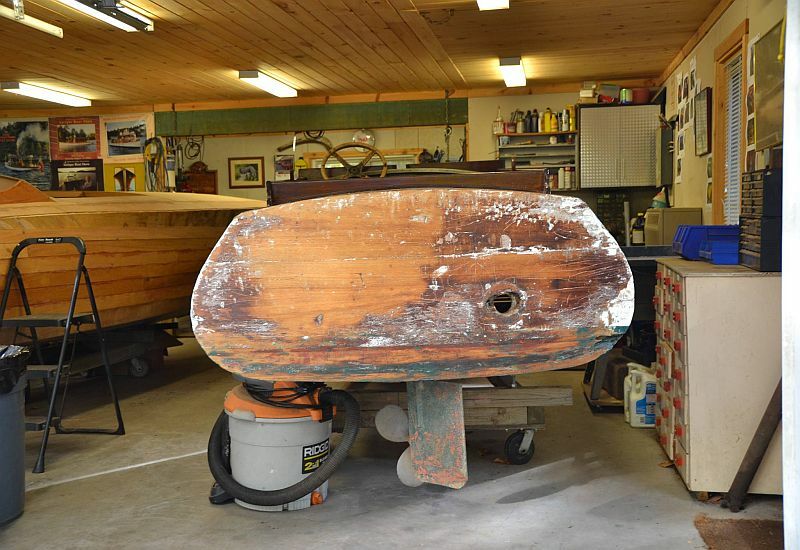 This barn-find boat came with all original hardware; steering wheel, and she is a survivor. 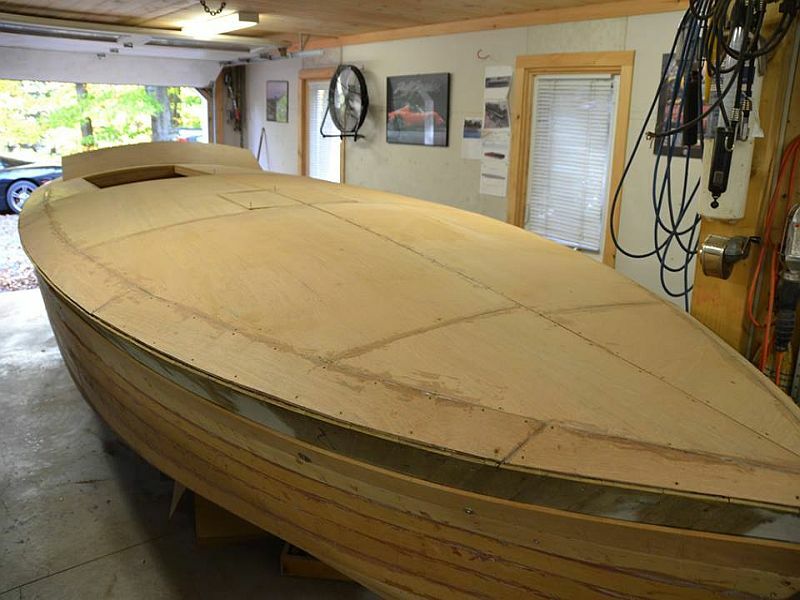 The boat will be named The Good Friday, as he meet his wife-to-be on a Friday and he found the boat on a Friday. 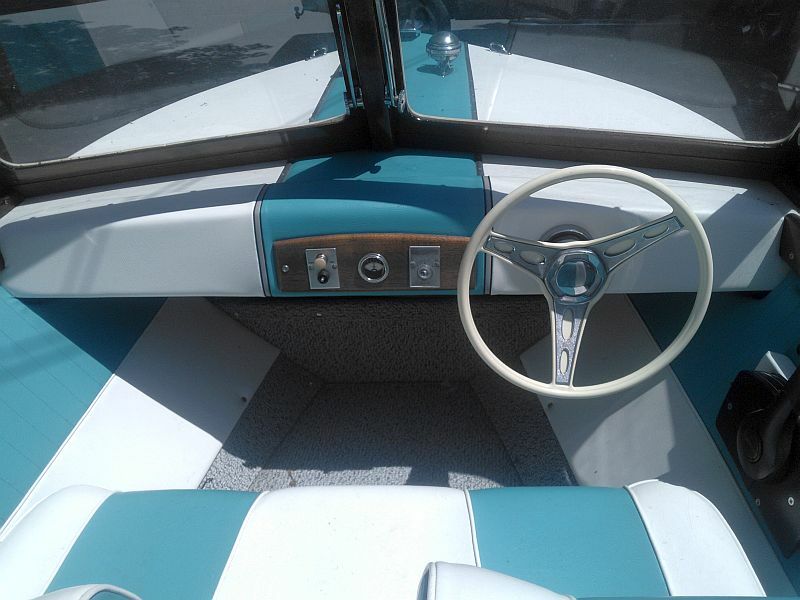 Very rare boat; Nicely done Chris and Amy. 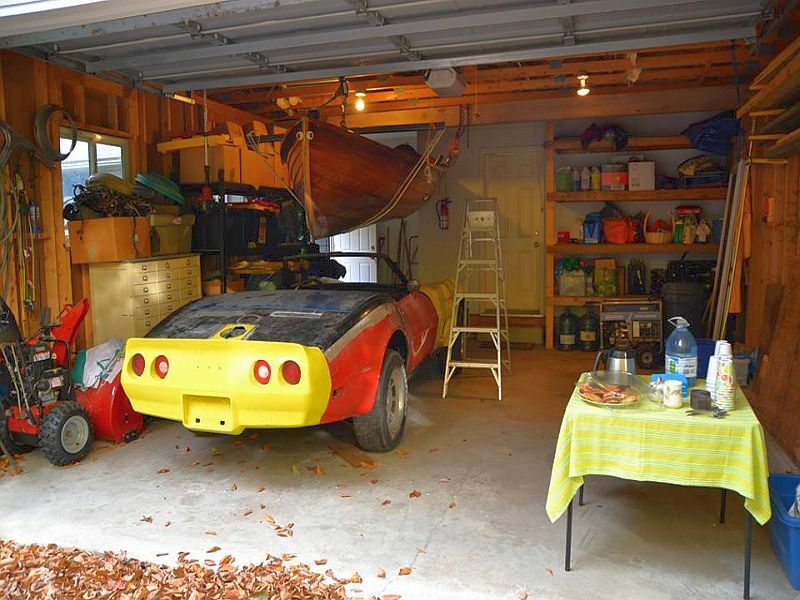 I then moved over to the 2nd garage and noticed a Corvette being restored and a Wood utility boat in the garage. I then took the stairs down to the lake boat house and noticed David’s awe inspiring Ditchburn Viking replica Hull that at 27ft is a dead ringer for the real boat. I have always admired Dwight Boyd’s Gentleman’s Racers and his 21ft racer is no exception. 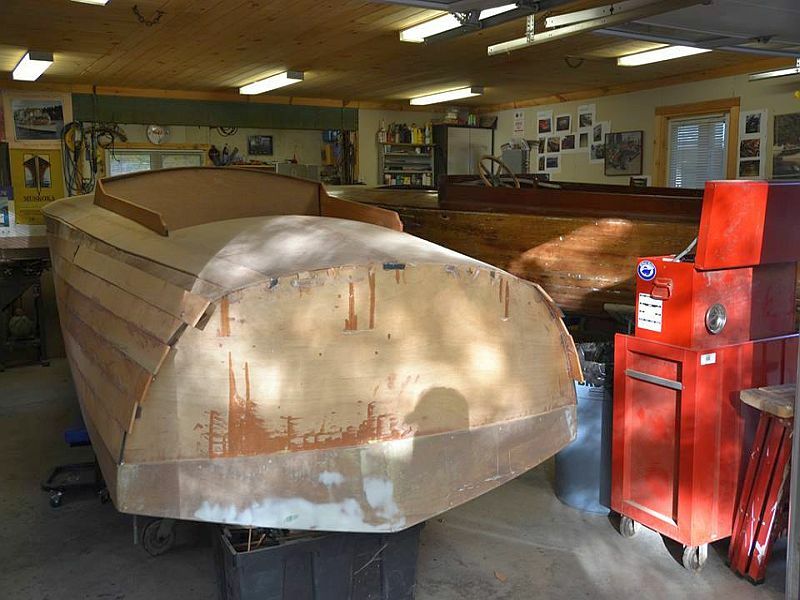 This is one exciting boat house that also had a dippy sitting on the cedar plank floor. 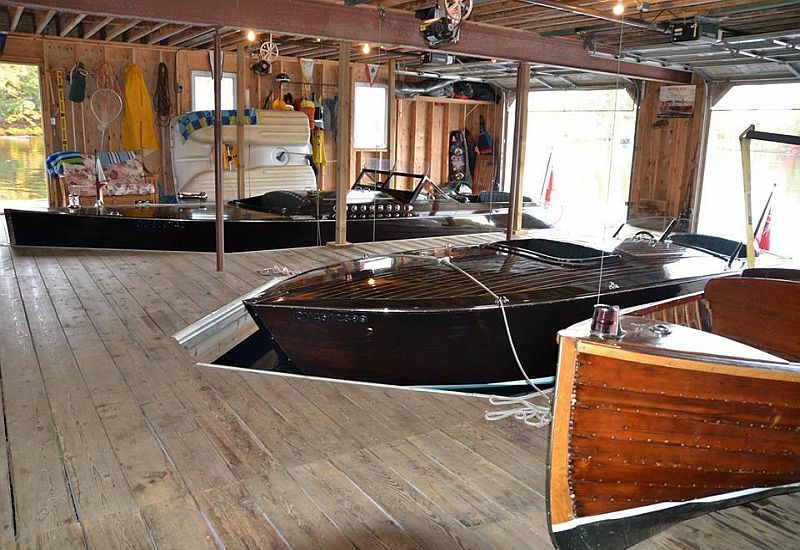 What a great setup for these wonderful boats. Thank-you to the family for sharing your home with the boat tour visitors. 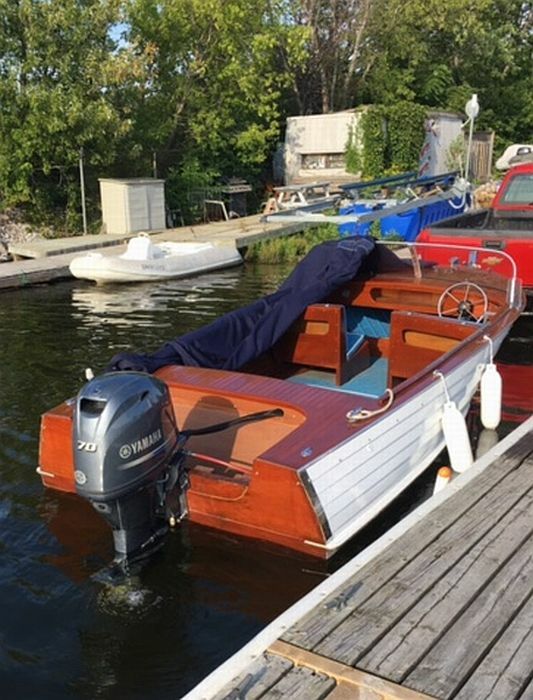 Tags: ACBS, ACBS wooden boat shop tour, antique boats, classic boats, Port Carling Boats, wooden boat restoration, wooden boat shop tour, wooden boats, woody boater, www.portcarlingboats.com Comments Off on The ACBS Home Shop Tour offers some stunning vintage boats. 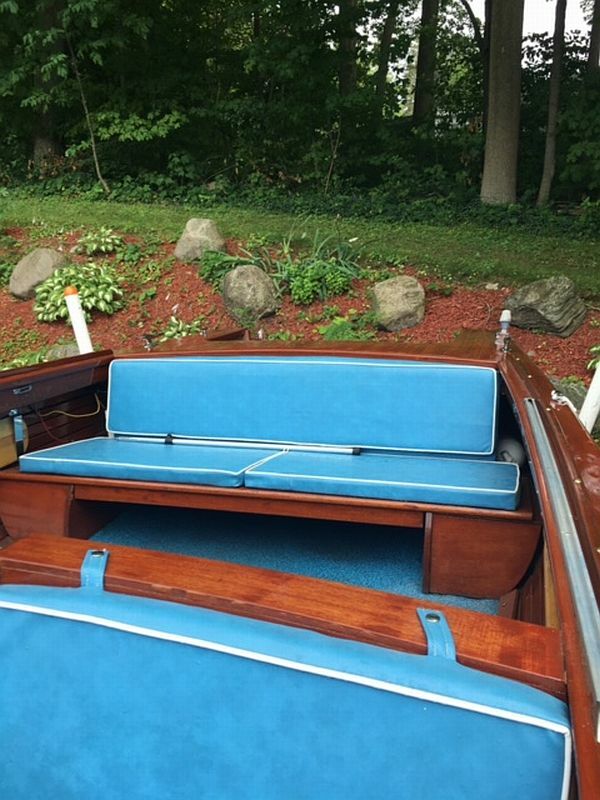 Built in Penetang in 1963. this 18 foot Grew lapstrake boat was purchased from the original owner. 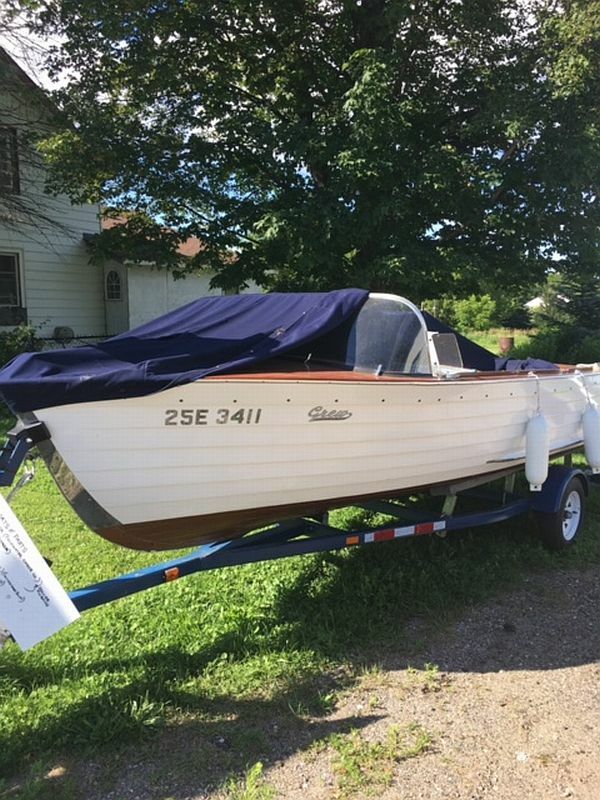 It has been well cared for and kept in a boat-house since brand new. 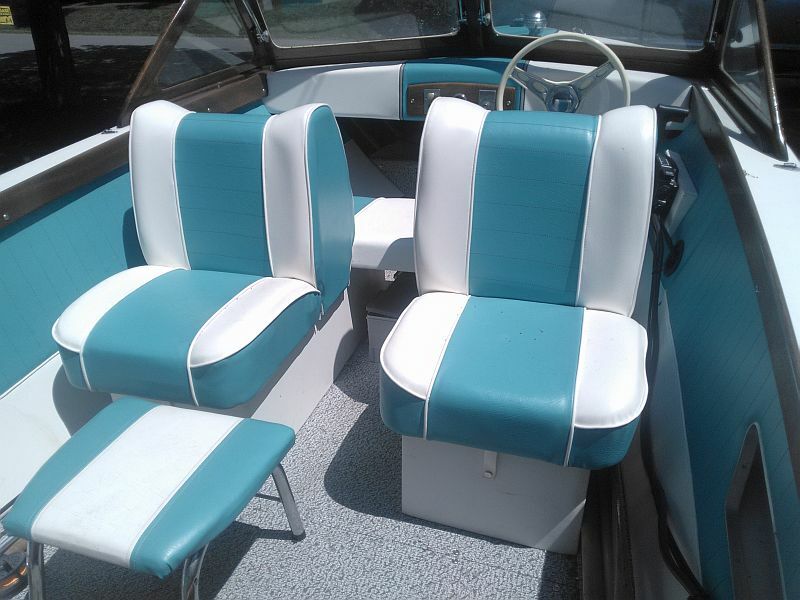 This is a one-of-a-kind boat. 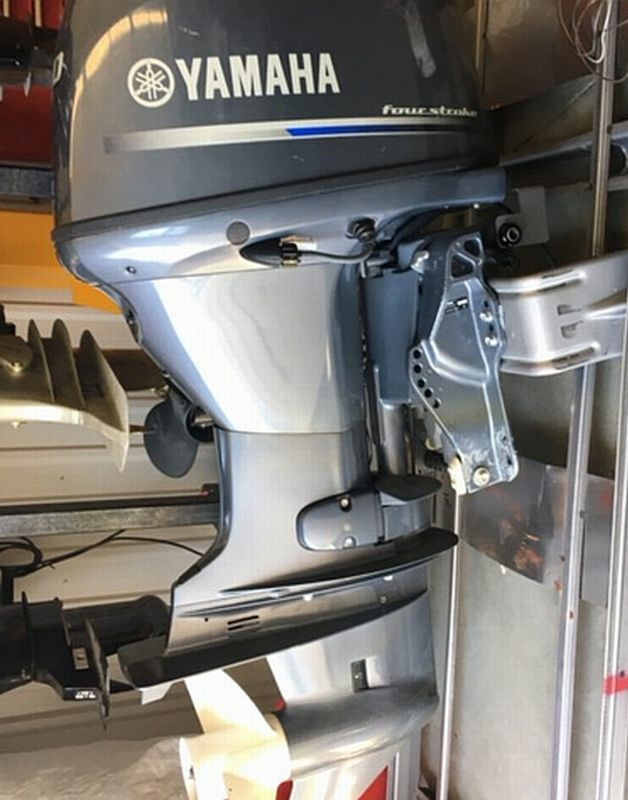 The sale include a virtually new Yamaha 70 hp motor and a single axle trailer in mint condition. Original Price: $12,000. 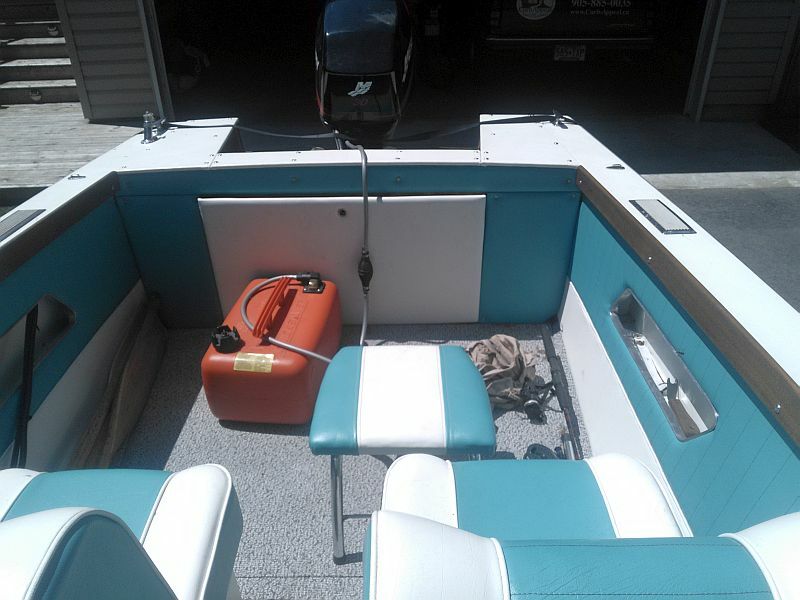 New Price: $9,800 For further details and contact information, please click on the link… Ad number pb757 (Additional photos below).